It's ok for fitness to be fun. At CrossFit you never just turn up, workout and leave. Everyone is known by name, we are a community of real people, all with our challenges, triumphs and mountains to climb. It is this bond that will spur you on to achieve more than you ever imagined. Discover why CrossFit is different - and see what you have been missing out on at regular gyms! Tired of the same exercises, hours on a bike or same sets and reps? What if every workout was different to the last? 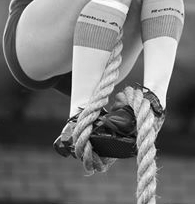 Olympic lifting, gymnastics, rope climbs, row, run, push, pull, throw, swing, flip. Become good at everything so you are ready for anything. Don't spend hours training when you dont have to. Training at the right intensity not only cuts your training time down, but garners the greatest results. Come and experience it for yourself - you will be amazed at what you can do. Fitness should be challenging, rewarding and fun! Fitness doesn't have to be about endless hours spent on spin bikes and ellipticals. Fitness should be functional, inclusive and most of all it should be fun! The real world doesn't reward you for doing bicep curls or lateral raises. In life we all jump, lift, throw, push, squat, pull and press - which is why CrossFit focuses on functional movements. No rows of machines here - just functional equipment - free weights, pull up frames, gymnastic rings, med balls, ropes, kettlebells, resistance bands, sandbags and much, much more (all the fun stuff!). We focus on high intensity cardio, a broad range of gymnastic movements and olympic weightlifting. We squat, deadlift, pull-up, clean, press, row, run, skip, climb, jump and flip. Why? - because you do these things everyday - every time you get out of a chair, lift something to a higher shelf, climb a ladder or pick up something heavy off the floor - you are doing functional movements. Paul discovered CrossFit whilst training for high altitude mountaineering. His climbing has taken him to every continent on Earth and he brings that dedication, focus, knowledge and drive to his coaching. 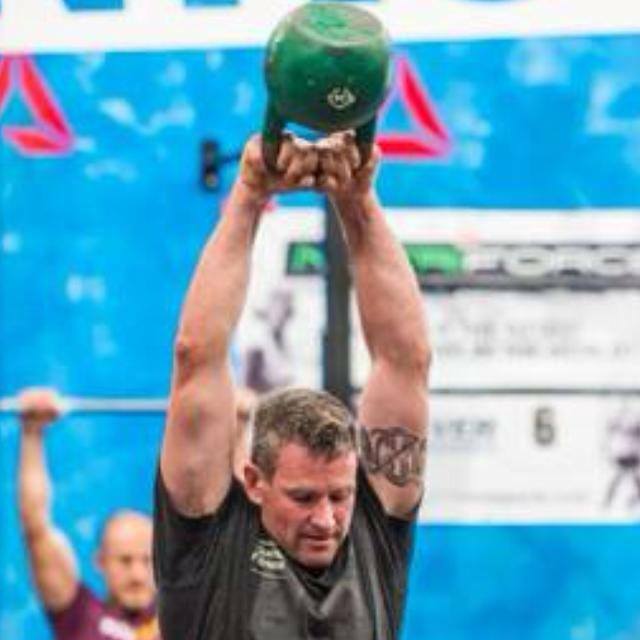 Paul's coaching philosophy is influenced by his qualifications - a pharmacist, certified weightlifting coach, Kettlebell Instructor (RKC) and Level 3 CrossFit Trainer. Claire has been a Regionals competitor every year sine 2012, ranking her in the top 20 fittest women in Australia and New Zealand. Her CrossFit knowledge and passion for fitness is unparalleled. Beware the quiet ones! Diesel carries a calm and quiet nature but scratch the surface and you'll find a well disciplined, highly motivated coach. Constantly learning and improving skills and determined to show that CrossFit serves as a great tool for the prevention, management and rehabilitation of injury. An experienced chef, personal trainer, state level athlete, former course record holder and club champion. Look out members - beware the quiet ones! Just as we push our athletes to develop, evolve and become something greater - we as a business must do the same. After six months of planning, organising, drafting and developing we are finally in a position to unveil to you - the next evolution of CrossFit Warrnambool. We have expanded - and not just in floorspace. We have done this to allow greater timetable space, the ability to run some exciting new challenges and programs as well as preserve the space and integrity of everyones training time. We know that you fight hard to carve out time from your busy schedule to train so we want to ensure every valuable minute is spent doing what needs to be done. CrossFit - we will maintain our current Crossfit class space for exactly that - regular classes. This space will now be dedicated solely for this purpose. Weightlifting - the rear training room will double in size and be fitted out with 6-8 individual stations for lifting, squats, bench - all the fun stuff. That's almost 800m2 of space dedicated solely to making us all healthier, faster, stronger, fitter. Here's a few little bonuses to make getting to the Box and training a little easier. Expanded Timetable - we will be running timetables for each training area, allowing you much more time for training across the day. Expanded open gym times, weekly programming and much more. Reception - our new office/reception/athlete lounge will be in the new entrance at the end of the building. We will be stocking new ranges of goodies as well as giving you a space to chill out after class. Kids Area (Under Construction)- we will have a space designated especially for the small humans. An enclosed area for kids to play whilst mum or dad get their training in. Showers/Changerooms - we will be maintaining our mens and womens separate showers and changerooms. We will be bringing two new programs to CrossFit, the full details will be out soon but in the meantime here's a quick summary. Industrial Strength & Conditioning - An old school approach to developing fast, powerful, capable, freight train athletes. We utilise the major lifts as well as short, fast, heavy conditioning to wring maximum results from every minute of training. This will be open to everyone, with membership options available for just being part of the Industrial program.